After a lengthy election cycle that saw mass mobilization of youth and voters of color, Californians for Justice is eager to see how Governor-Elect Gavin Newsom will continue efforts to fully fund our public schools. We are looking to Newsom to be a governor who can lead together with youth, parents, educators and other elected officials to foster a vision and build a model of education in California that will serve as a model for the rest of the nation; a model that fully embraces the cultural strengths and diversity of all California’s students, allowing them to grow to their full potential, regardless of race or zipcode. Much of the groundwork has already been laid. The historic passage of the Local Control Funding Formula helped transform our education system to one that prioritizes equity in resources and supports for Foster Youth, Low-income students and English Learners. We ask our new state leaders to continue the legacy of LCFF and push forward to address racial justice needs in our education system. 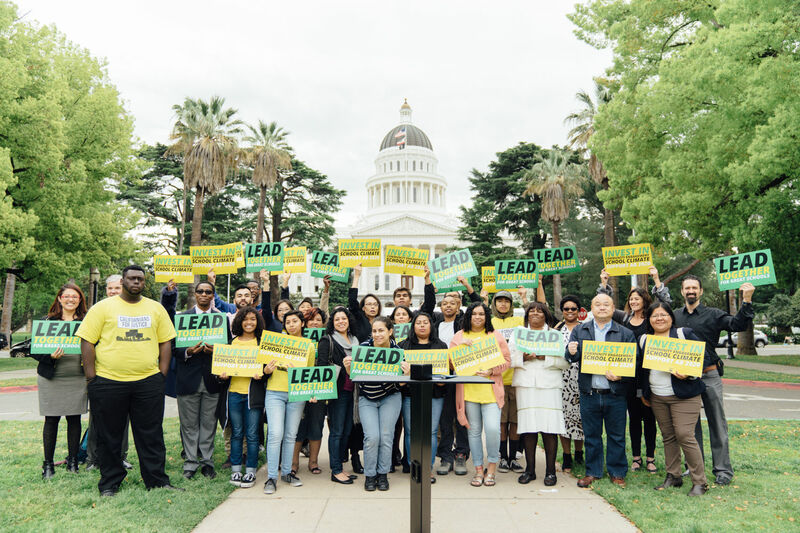 LCFF enjoys widespread support from teachers, school principals and education leaders throughout California and we urge Newsom to build upon this strong foundation. By doubling down on equity in schools and pushing for racial justice, we believe this new administration can further lead the work towards building a bold, new vision for California’s education system. Californians for Justice looks forward to working with Governor-Elect Newsom––who can lead together with youth, parents, educators, and other elected officials––to foster a vision and build a model of equitable education in California and for the rest of the nation. With full funding, racial justice, and Relationship Centered Schools, we can achieve a system of education that embraces the cultural strengths and diversity of all of our students and allows them to feel safe, supported and capable of thriving in education and beyond.